A missing tooth in a youngster’s smile is adorable, but if an adult is missing a tooth, it tends to not be as cute. Why the stigmata? 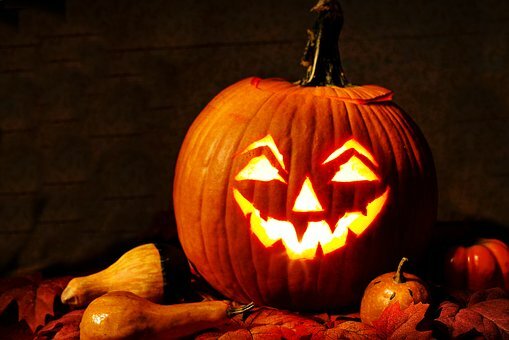 Pumpkins have been carved throughout the years to ward off evil and scare travelers away. But that doesn’t have to be the case for your smile. A child’s missing tooth is typically going to be replaced by a permanent tooth. And luckily, our Novato dentist can restore smiles where permanent teeth have fallen out. Why do teeth fall out? In children, baby teeth fall out to make room for permanent teeth. Adult teeth are lost due to an illness or medication. They can also fall out because of an injury or poor oral hygiene. The good news is that you don’t have to have a smile resembling a Halloween pumpkin. We encourage you to visit with our Novato dentist about your restorative dentistry options. We can bring your smile back to life and keep it looking great. Arm your teeth with the right amount of care so that you can avoid cavities. Tooth decay is caused by sugars building up on your teeth and turning into plaque and bacteria. By brushing your teeth twice each day and flossing, you’ll ensure your teeth are clean. A professional cleaning at our Novato dentist office twice a year is important as well. Our hygienist uses the most state of the art tools of the industry to rid your teeth of decay. Fluoride treatments can keep teeth healthy as well as dental sealants. Sealants are recommended for permanent back molars free of tooth decay. For this reason, kids between the ages of 6-12 are the most frequent recipients of this treatment. Restorative dentistry procedures rebuild smiles. At our Novato dentist office, we consult with patients who want to fix their smile on a daily basis. Some may need a crown or a dental implant. Others may need a simple bond to fix a small gap between their teeth. We work hard to provide a welcoming environment and a relaxing atmosphere so you feel at ease. We’re here to help you achieve your smile goals. If you are concerned about your smile, or your child’s, simply give us a call. We have more information on our Facebook page or would be happy to set up an appointment for you. In a matter of moments you can be one step closer to a beautiful smile.